The decision to spay or neuter a pet is a personal one that every pet owner will face. Our FAQs can help you weigh the benefits and risks of a spay or neuter procedure in Portland. Why Should You Spay or Neuter Your Pet in Portland? While we leave this decision to the pet parent, at Peninsula Dog & Cat Clinic in Portland, we strongly recommend that pet owners spay or neuter their companion animals. Nearly 7 million dogs and cats enter our nation's animal shelters each year and nearly 50 percent of these animals are eventually euthanized. Spaying or neutering your pet can help reduce those grim statistics. Spaying and neutering indoor pets also have behavioral and medical benefits for you and your pet. A spayed female will not go into heat. During breeding season, female dogs and cats will cycle in and out of heat every few weeks. They will actively seek mates and may even urinate in your home. A neutered male is more likely to stick close to home. During breeding season, a non-neutered male will wander away from home seeking a mate where he will be exposed to life-threatening conditions including passing cars and possibly wild animals. Disagreeable behaviors often cease after a male pet is neutered. Male cats and dogs instinctively mark their territory by spraying strong-smelling urine around your home. Early neutering can also reduce aggression-related behaviors. Spaying a female pet can help ensure the pet lives a long, healthy life. Spaying a female dog or cat uterine infections and breast tumors. Neutering your male pet will prevent testicular cancer. Ideally, a pet is spayed or neutered when it is young. Older pets are still good candidates for spay & neuter services, but may suffer complications if they are elderly, overweight, or otherwise in poor health. Kittens may be spayed or neutered as soon as they reach 8 weeks old. This is often done prior to their adoption from a shelter to help control the animal population. Dogs are traditionally sterilized between six and nine months old. 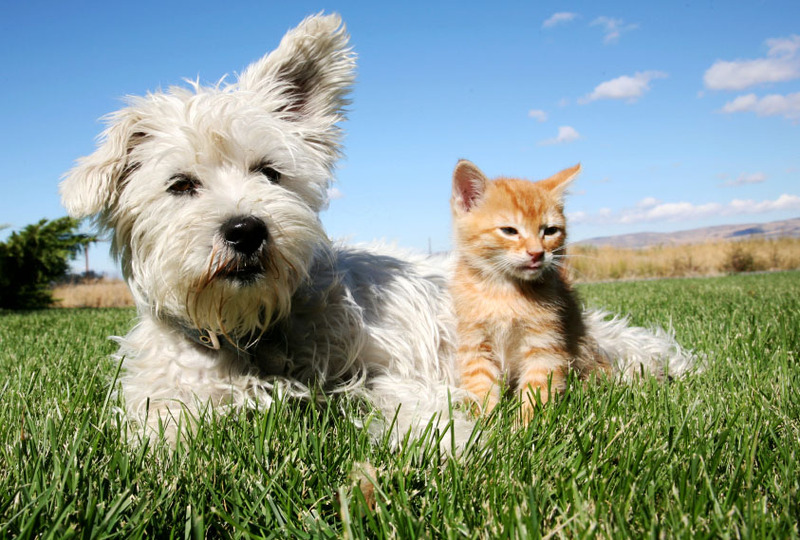 How Does a Veterinarian Spay & Neuter Dogs and Cats? Whether your pet is male or female, sterilization is a routine surgical procedure that can be performed in most veterinary offices. In the case of male cats and dogs, a veterinarian will put the animal to sleep and make a small incision at the base of the animals scrotum and remove its testicles. For female dogs and cats, the veterinarian will generally remove both ovaries and the uterus under general anesthesia through an incision in the animal's underside. How Can I Help My Pet Recover from Surgery? The goal is to help your pet recover as quickly as possible. Our Portland veterinarian will provide detailed, individualized recommendations for your pet. Plan to provide a quiet space at home for your pet to rest and recover from surgery and follow the veterinarian's recommendations regarding activity and diet. Call our Portland veterinarian if you have any other questions or concerns about our spay & neuter services at 503-285-7661.